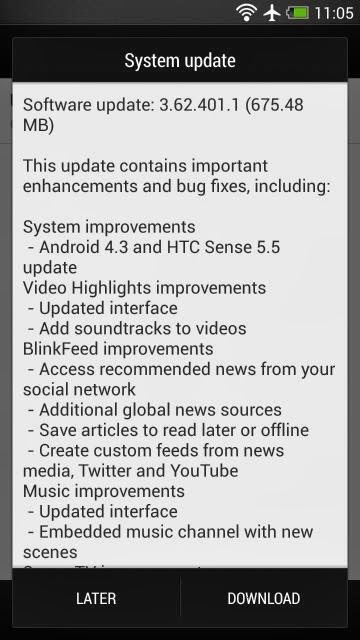 Continuing their exemplary pace for the HTC One updates, HTC has now started rolling out the Android 4.3 update for the international variant. The update brings many changes, which you can see in the screenshot above. The important one here (other than Android 4.3 itself) is the Sense 5.5 update. This update lets you disable the controversial BlinkFeed feature if you're not such a big fan of it. The download is a hefty 675MB so get in your Wi-Fi zone and start updating.